Casa Misa is a cozy authentic Portuguese house (built in 1988) located in Quinta do Paraiso. It is one of the few houses that is just a few steps away from the main facilities such as the swimming pool, mini mercado, kids club, restaurant and bar. 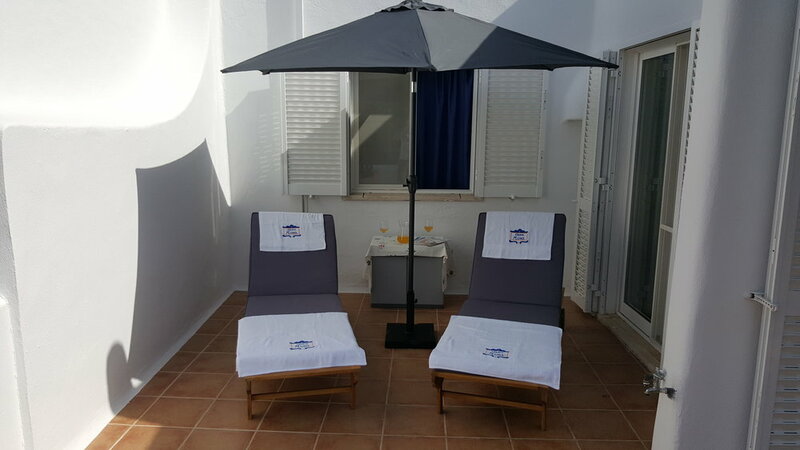 Casa Misa has a large private and sunny terrace with wooden furniture and two relaxing sunbeds. It has a superior status which means it is very comfortable and fully equipped, both bedrooms are airconditioned, there is a washing machine, free WiFi, Satellite TV, a barbecue and much more. 'I just wanted to thank you for the wonderful stay we have had here in Portugal in particular for the bungalow which has felt like home from day one and which we will all miss. Quinta do Paraiso is one of the most desirable holiday destinations in the heart of the Algarve. It is located in Carvoeiro on the southern coast of Portugal. The resort is situated about 1 km from the beach of Praia do Carvoeiro. In a 5 minute walk you can reach the picturesque fishing village of Carvoeiro. The resort offers a variety of restaurants and bars. There are several sports and entertainment facilities on the resort and the animation team will make sure your kids will have the time of their lives! The family friendly atmosphere of Quinta do Paraiso has been known and appreciated by thousands of guests for many years. Many families keep coming back year after year. 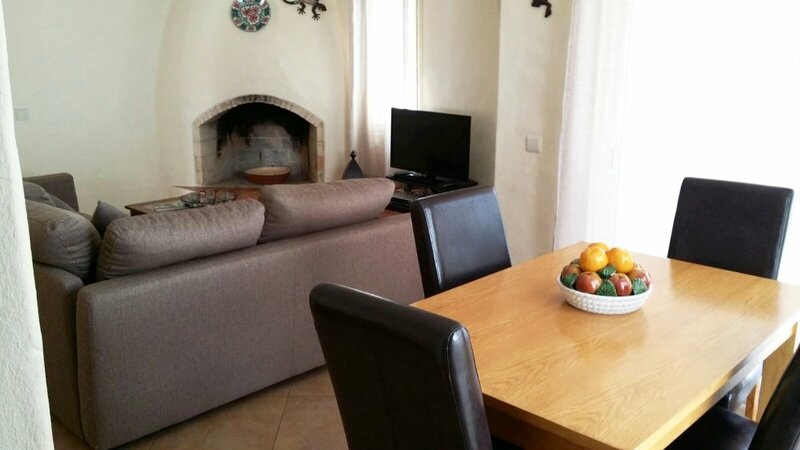 Therefore, the holiday rentals that are situated within Quinta do Paraiso are often already fully booked before the holiday season even starts. Quinta do Paraiso has three pools and seperate pools for children. The pools are surrounded by nice lawns, terraces with sunbeds and sun screens. The pool and bar area have free WiFi for all guests. During the winter season, one of the pools is heated. The Caravela Bar overlooks the entire pool area and is a great place to meet and have a quick drink or snack during the day or have a cocktail in the evening. Regular entertainment is offered such as live music, karaoke, DJ, pool parties, concerts on the big screen or games organized by the animation team. The entertainment program normally takes place after dinner. Quinta do Paraiso has a central reception, very close to Casa Misa. The reception is available for check in and check out, but can also assist you with other services such as tourist info, car/bicycle/scooter rentals, taxi's and airport transfers et cetera. If you want to discover the fascinating underwater world of the Algarve, diving center Diver's Cove is only a few steps away. It is the first and oldest PADI-Divecenter in southern Portugal. Dive training is held in the pools of Quinta do Paraíso and at the most beautiful beaches of the Algarve. Or join one of the boat dives on the reefs in front of Lagos and Sagres or in the wrecks in front of Alvor. More experienced divers can explore the old Portugese navy vessel called "Oliveira do Carmo" or patrol ship "Zambeze". This classic Italian restaurant is only a few steps from Casa Misa. You can enjoy the finest pizzas and pastas as well as some Portuguese dishes. It is lovely to have your meal under the century old olive tree in the center of the cozy terrace. Or, if you prefer to eat at home, takeway is also available. Rabelo Buffet is situated next to the beautiful poolside. You can choose from a variety of flavours in the evening buffet ( 18:30 - 21:00 ) or enjoy the breakfast buffet ( 8:00 - 10:30), all in a casual atmosphere. The Kids Club is a mini-paradise for children from the age of 4 up to 12 years. The kids can participate in treasure hunts, play mini golf, watch DVD or spend a morning painting or drawing. The Kids Club is a safe and secure place for children to play, situated on a hill overlooking the main pools. If you like to be active, there are lots of activities to choose from. You can rent a bike, play tennis on the nearby tennis court or a game of beach volleyball with family or friends. Or play some table tennis or billiards in the pool area. Right behind Casa Misa there is a beautiful garden which has a nice playing area for children. You will also find a 16 hole minigolf course and a beach volleyball court in the garden. If you like to explore and enjoy nature, it is good to know we spotted some beautiful flowers, birds an butterflies here. Below pictures are all taken in the garden during the spring of 2017. 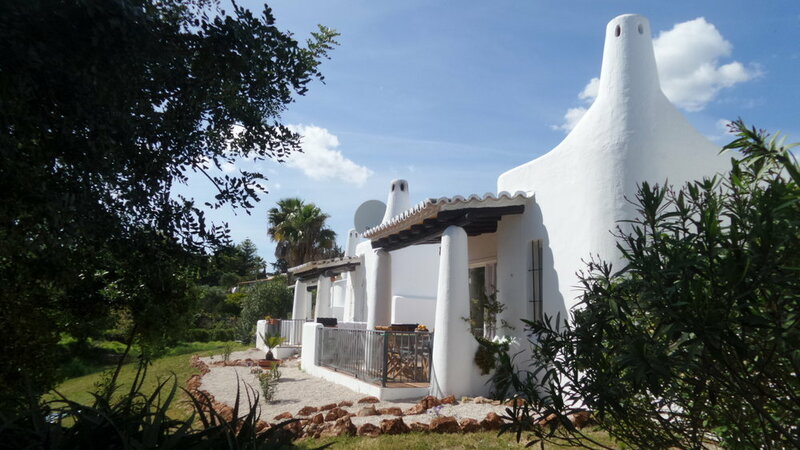 Casa Misa located in Carvoeiro in the heart of the Algarve, on the southern coast of Portugal. Carvoeiro and surrounding areas are one of the most popular and favourite holiday destinations in the Algarve. The picturesque fishing village is well know for its typical whitewashed houses on top of the colden cliffs, backed by the hills. It is famous because of its amazing view from the hills on either side of the town. The area is charming and there is a great atmosphere all year round. There are lots of shops, nice boutiques, fun bars and great restaurants and during the summer season there is live music and entertainment on the main square in the heart of the town. The area is quite affordable when it comes to prices. You can have a complete meal for less than 10 euro's. If you prefer to prepare a nice meal at home, there are several supermarkets in the area such as Intermarché, Pingo Doce, Aldi, Apelonia or Jumbo. Quinta do Paraiso also has a mini market which is only a few steps away from Casa Misa.